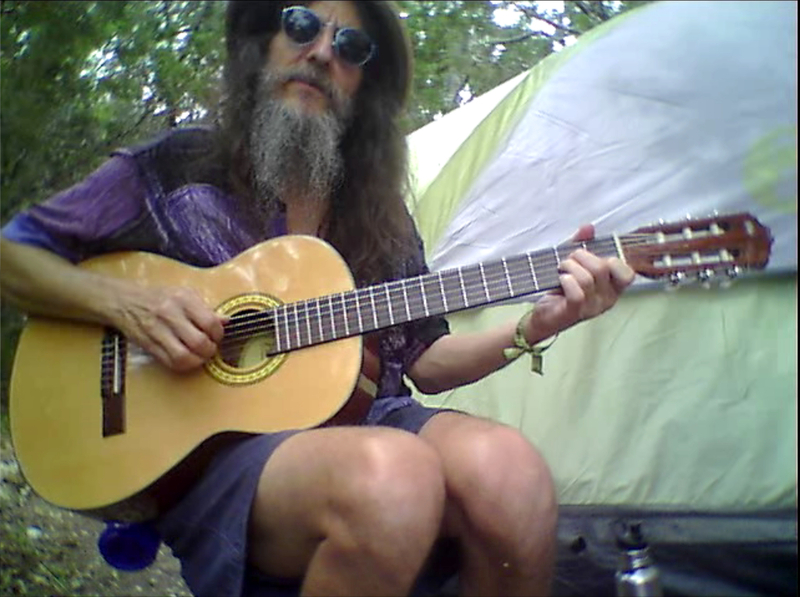 One of the best things about this year's Kerrville Folk Festival (among many) for me was reconvecting with fellow obscure troubadour Brian Cutean, who I hadn't seen since the 80s. Neither of us has changed much, we're just grayer and a bit better on the guitar. He really took me under his wing and showed me around. The dude knows everyone and everyone loves him. I got lucky one night and had my portable recorder with me when Brian sang his hilarious Secret Cow song at the Crow's Nest campfire song circle. It was too dark to shoot video, so I made a little montage of snapshots from around the campground. Incidentally, Brian is in the area and doing several gigs. I'll be popping in for a couple of tunes at his show at the Whip In on Monday, June 18. Stop on by for some Austin acoustic weirdness with a pretty much paleolithic pedigree.